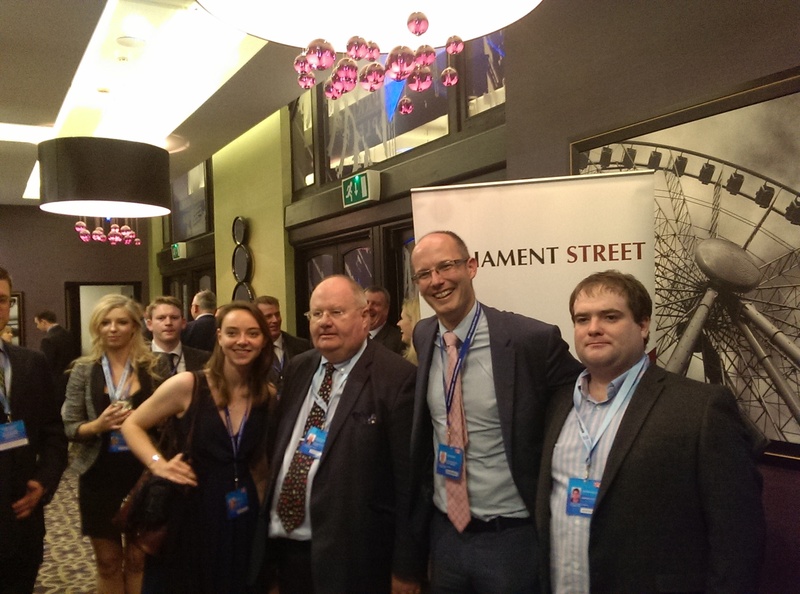 On Sunday 29th September 2013, Parliament Street held its Annual Conservative Party Reception at the Petersfield Suite in the Midland Hotel between 19.30-21.00. The evening reception was packed despite upgrading to a significantly larger venue compared to last year, with long queues through the Midland Hotel before the doors even opened. The guest of honour was the Secretary of State for Communities and Local Government, Rt. Hon. Eric Pickles MP, who addressed over 200 Parliament Street members at the reception. The Cabinet Minister spoke to the audience about the work being done to cut expenditure within the Department while continuing the process of devolving powers from central government. He also praised the Parliament Street team for its work and dedication over the previous year. We would like to thank Eric Pickles for being a great guest speaker who really fed off the energy of the crowd.